So you want a Siamese? If so, the next question is whether Rescue is the right avenue of adoption for you? Determining this early on is key. Rescue cats are cats that were no longer wanted or able to be cared for. They are wonderful, deserving cats, but they are not without their issues. Our job, which we take very seriously, is to get to know you, to get to know our cats, and to work together to find a great match. Because many of these cats come with baggage, Rescue is not always for everyone. We're looking for adopters (Rescuers if you will) who have the patience, understanding and compassion to work through issues that may arise. We're here to help you. If you need a cat within a few days, if you aren't interested in dealing with any issues that may arise, if you must have a specific age and look, Rescue may not be the best solution for you. The Siamese Rescue website provides a group of individually operated non-profit Rescue Organizations the opportunity to engage in a common purpose and to come together at one Internet presence. 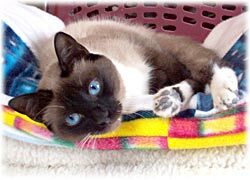 Each organization represented here is a separate non-profit 501(c)(3) corporation with its own Board, policies and procedures, but working towards a common goal - to rescue homeless and abandoned Siamese cats and rehome them in carefully screened, permanent situations. 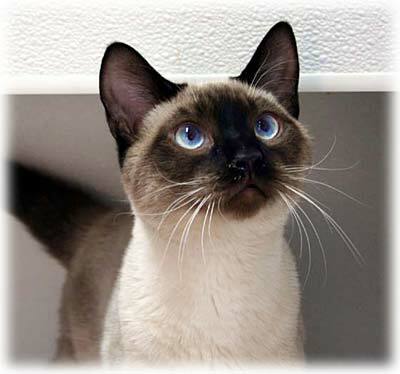 This nationwide effort to rescue Siamese before they are euthanized at shelters requires an enormous amount of time, energy, and money. You won't find a more dedicated group of individuals willing to put forth everything they have to save this wonderful breed. There just isn't enough, however, to go around. Enough transporters, enough fosters, enough money. Many of these cats require extensive medical work to get them back on their feet, and we are willing to do it, if we can. Please consider supporting any or all of the Center's efforts - if you can donate - whether it be in supplies, in elbow grease, or in funds, your help is key to our success. All of the Centers would greatly appreciate any support you can provide them. Select the Organization which is closest to you from the Navigation bar on the right, and you will be taken to their webpages.